This is a definite family favorite – it’s like Thanksgiving without all of the fuss! The pan gravy captures all the wonderful flavors and aromas that make Thanksgiving meals so special. Serve it with your favorite green veggie and a side of mashed potatoes. Be sure to make a little well in the center of your potatoes to give the gravy a place to hang out. And if you really want to go big, add a side of cranberry sauce and bake a pumpkin pie! Season turkey cutlets with sea salt and freshly ground pepper on both sides. Then lightly sprinkle with 1/2 tbsp of the minced sage and fresh thyme leaves. Use your fingertips to pat the herbs into the meat. 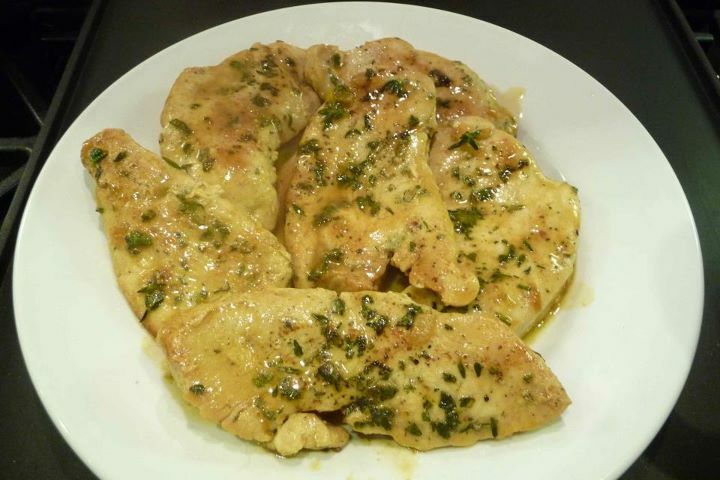 In a large skillet over medium-high heat, melt 2 tbsp of butter and cook the cutlets until golden – about 3 minutes per side. Transfer turkey cutlets to a plate and cover loosely with foil. Reduce heat to medium and add remaining butter to the pan. When melted, add celery and onion. Sauté until soft (about 5 minutes). Slowly whisk in the flour a little at a time and cook until thickened and pale gold (about 2 minutes). Next, slowly whisk in the chicken stock about a half-cup at a time. Add the cooking wine and remaining 1/2 tbsp of fresh herbs. Continue whisking until the gravy is smooth, bubbly and thick (about 4-5 minutes). 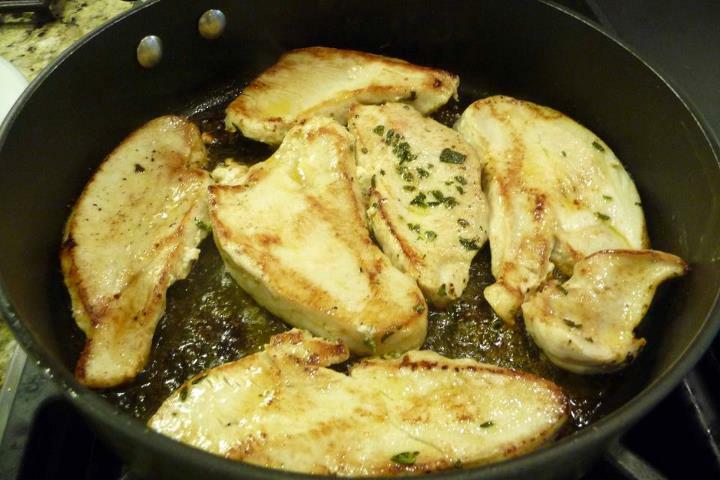 Return the turkey cutlets to the pan, along with any juices on the plate. Stir to combine and simmer in the gravy for about one minute to rewarm the turkey. Remove pan from heat. Use tongs to place turkey cutlets onto a large serving platter. If desired, strain gravy (using a fine mesh strainer) and place in gravy boat. Top each cutlet with gravy. Serve with mashed potatoes (with more gravy on top!) and your favorite veggies! Absolutely scrumptious!